March is nearly over and here I am with my monthly challenge post. It has been long and busy month and it's not over yet. Still 3 days to go until we meet April. And they won't be 3 normal days - they will be busy preparing for Easter and second Creative Carlow Pop-Up shop experience. Back to the topic. Similar to February I had couple ideas I wanted to achieve. Definitely one thing I haven't been entirely happy in my projects recently are colours. Dark tones just won't let me to work without them. I tried to ignore black and here you can see my latest colour challenge. 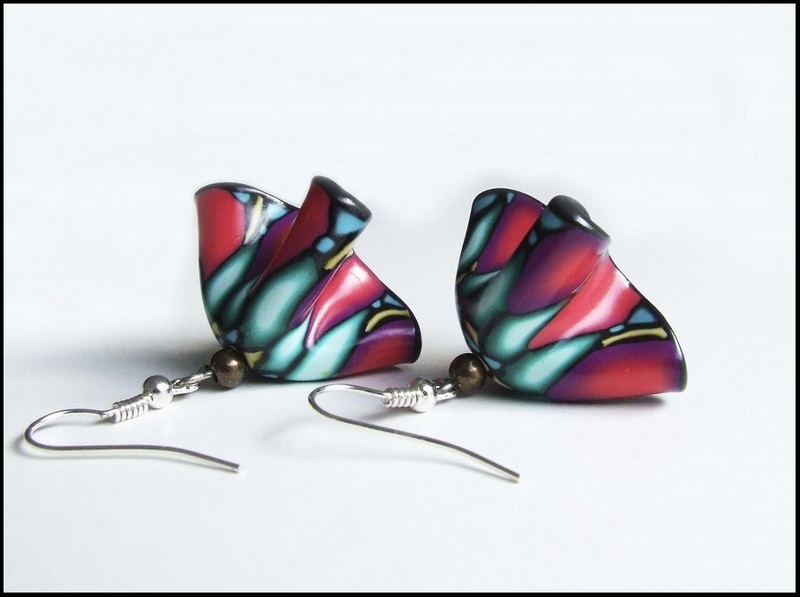 When I look at this pair of earrings it reminds me about butterflies in my stomach and I want to dance. I think that's because they have a little bit like a skirt shape too. I am happy with the result and now officially can start to dream about my April challenges. There are many wonderful people in the world and I am happy I had a chance to meet some of them and learn something great. During my study years I met very attractive and creative lady who was running summer camps for children. She had a great tip for us group of active tourism and free time management students. 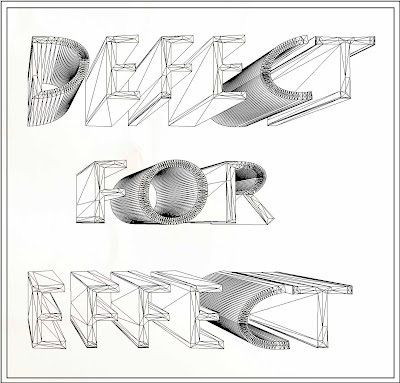 Defect for Effect! Then it just sounded good, now for me it is good advise. It is great way to look at something that haven't turned out the way you expected or if things have suddenly changed. You have a chance to use your creativity and come up with new ideas. 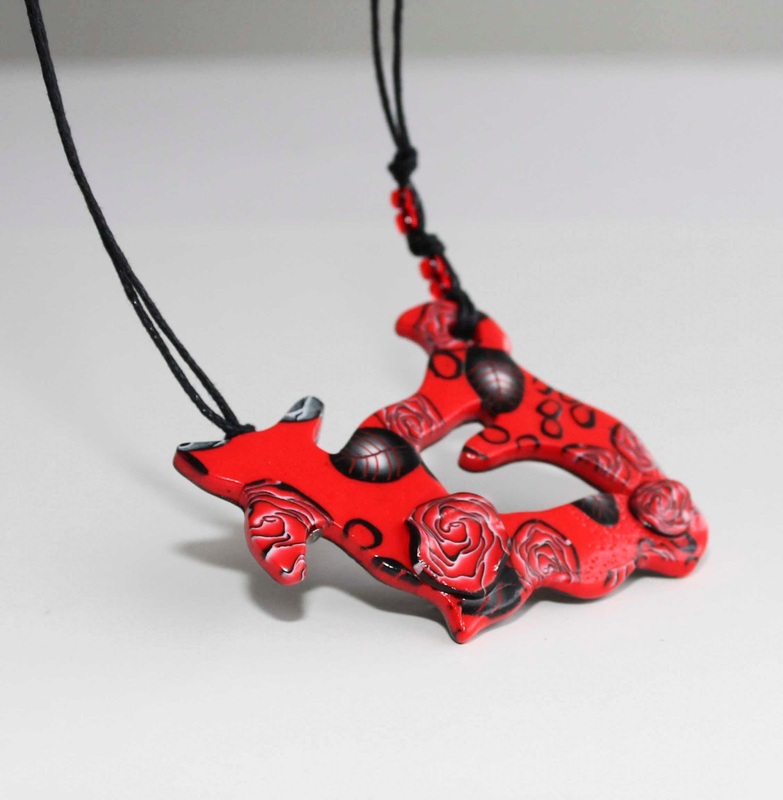 It works in different life situations and it works with polymer clay. In the beginning of this year I was creating Red Shoe Shape Brooches. Basically I conditioned clay, rolled sheet of clay and used mini shoe shape cookie cuter to achieve my goal. Of course I had left over few quirky pieces of clay. I could knead them together and use for something else, they were just leftovers or also known as scrap clay, but I didn't. I turned defect into effect and created Red Devil necklace. I have to say it's not just me who like to play with scrap clay. Many other polymer clay people do this. There are even special techniques developed for this purpose , like Stroppel Cane or Natasha Beads. 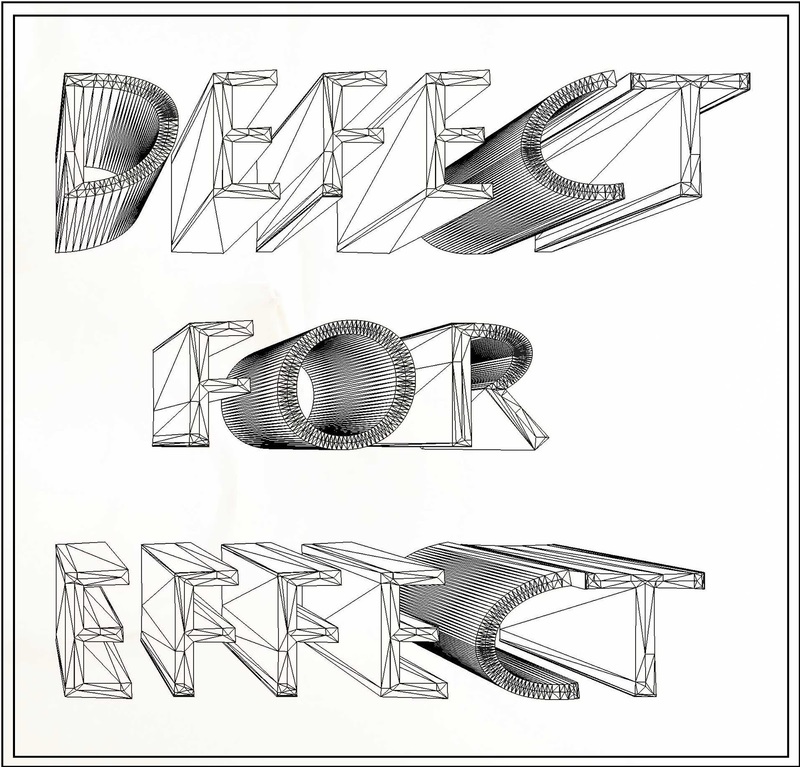 Hope you have some Defect Effect in your life too! It is Sunday but it's cold Sunday, while on the way to St. Patrick's Day Parade here in Ireland we even experienced hailstones. Now back home and I am going to have a nice treat and browse through CRAFTfest. CRAFTfest is unique online craft fair and Valg Studio is delighted to be involved. 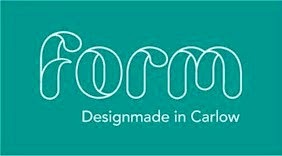 If you love handmade and have a moment to check what craft people have been up to recently - DO! You will find an ever growing selection of original and unique items. 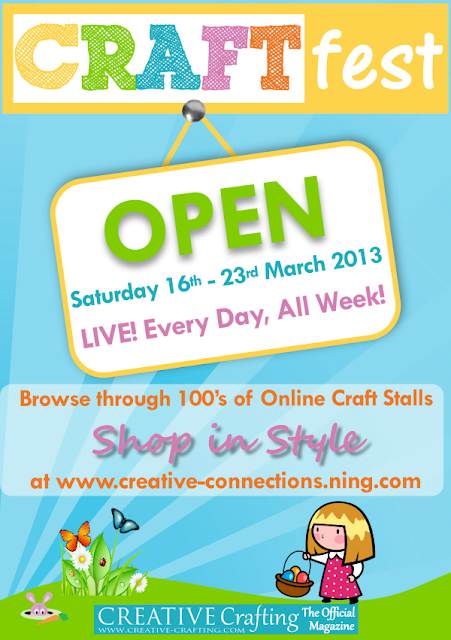 CRAFTfest is running from the 16th March right through to the March 23rd. Click HERE to go to CRAFTfest. And here is just a little taste of our work. Enjoy! It sometimes confuses me when people ask about inspiration and then even before I manage to answer they mention exotic journeys, because in their opinion my jewellery has tribal or ethnic look. I never tough about it in these categories, for me it is just my design. The most exotic place I have been is Uzbekistan and I would lie said that experiences and impressions don't leave prints in my mind. Of course they do and mix with other my experiences, and then probably secretly sneak in my work too. In general inspiration for most of my work usually come from small details in man made world, for example, architecture, textiles or even biscuit packaging and then it start to grow, grow until we see final piece. 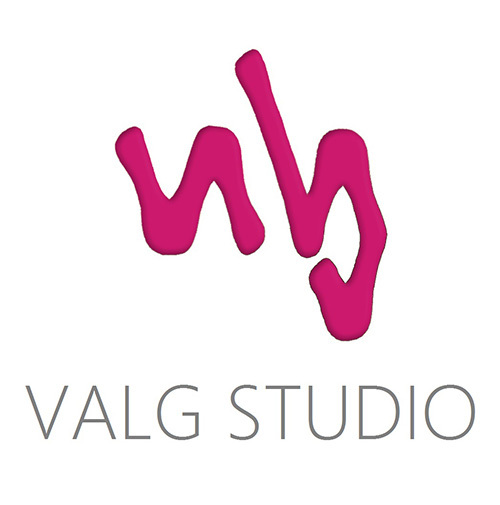 I feel that I am still only at the beginning of my creative journey and the best ValgStudio signature pieces are still to come. I have a dream. 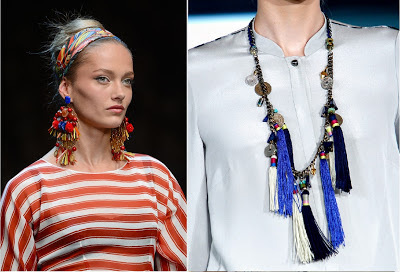 Today while preparing this blog post I was also reading about fashion trends for this year and was glad to notice that Tribal trend is popular for Spring/Summer 2013. 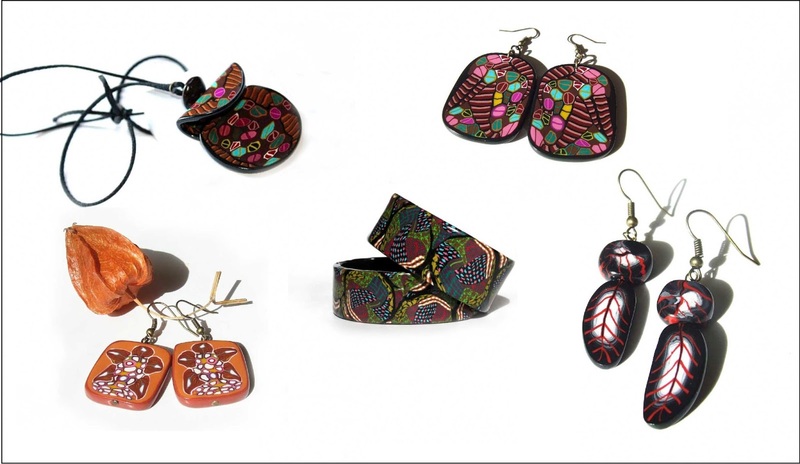 Tribal jewellery can give your outfit really great flavor without wearing tribal prints and accessories if you are not excited about this style. I recommend to read Etsy Trend Watch Spring 2013. If you are a seller it can be useful information, but if you aren't and don't care about these things yourself it's still no harm to know. It's quick and easy for eye overview. It can mean different things to people based on their experience, place they live and actions they want to take. For me 8th March is a special day because it holds beautiful memories of my childhood. 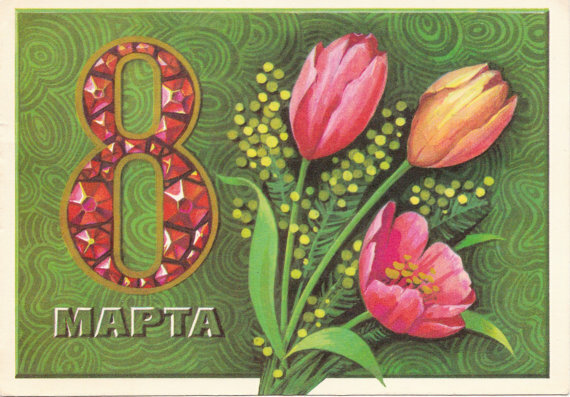 The 8th March cards and red tulips were very popular. I remember even in primary school when we girls walked in the classroom in the morning we all had red tulip on the desk and it wasn't only in our class and school. I have to say that boys usually would receive new pen, pencil and rubber on the Army Day 23rd February. It probably sounds quite unusual but those were times we lived in Soviet Union. Since Latvia become independent country meaning of this day has changed and 8th March isn't official holiday anymore but many people still celebrate it. It is so wonderful to see men not only congratulate their female family members, but often colleges too. Living in Ireland I miss scenes I used to see in the past. Some men here buy flowers but I have impression that most of them are Eastern European nationality. International Women's Day isn't just flowers and cards. It is also about challenges, successes and achievements of women. It could feel that Women's Day in Ireland goes unnoticed but there are 26 events listed on www.internationalwomensday.com website taking place nationwide, including, discussions, performances, coffee mornings, exhibitions but I'm sure there is more inspiring activities to be involved. Browsing through different pages related to International Women's Day I stumbled over question: What action you will take this Women's Day? Good question... I have a little plan.